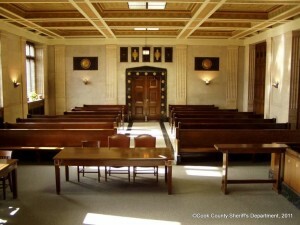 Bench trials take place before a judge without a jury. In other words, only the judge will decide whether the defendant is guilty or not. These types of trials work best for cases in which the issue at hand may be too complex for a jury to understand, for cases in which the defendant wishes for a quick verdict, or for cases in which the defendant wants a plea bargain. Bench trials are taken care of quickly, but the defendant faces the risk of facing a judge who may be facing re-election, which can influence the judge makes. Most criminal cases are judged by jury trials, where the judge and 12 jurors decide the verdict. Because 12 people decide the outcome as opposed to just one (such as in a bench trial), jury trials are typically more advantageous for the defendant. As each side presents its evidence and witness statements during trial, the jurors listen and deliberate to decide whether the defendant is innocent or guilty. Once the jurors make their decision, unlike a judge, they do not need to worry about possible repercussions for their verdicts. However, jury trials take much more time than bench trials and jurors also may be swayed by their emotions rather than rationale in their decision making. Which trial is best for you? Our defense team consists of experts in the field of trials and will help you decide. At the Law Offices of Edward Johnson, we dedicate all of our time and energy to brainstorming, researching, and strategizing in order to win our clients’ trials. We have years of experience in over 75 jury trials, over 1000 bench trials, and boundless amounts of determination and tenacity on our side to fight for our clients. Call now at 708-606-4386 for a consultation on what kind of trial would be best for you.